So today, we went to Centennial Olympic Park. It was such a beautiful day! The sun was out, the skies were Blue, not a cloud in sight. I decided to wear my comfy dress that I purchased from Old Navy. This dress is super cute! It's a one shoulder dress and can be worn with heels, flats, sandals, or tennis shoes. So lately, I've been sticking to using products from one company, and that company is called Soultanicals. I absolutely love this company and their products! I have never used products before that gets my hair looking as good as it does. One of the many reasons why I love this company is because they are Black owned, secondly, their products are bomb!, and thirdly, they are really nice people and respond to your questions, unlike some other company's who just ignore you. This past weekend, I co-washed my hair using Soultanicals Sprout Fertile Roots Volumizing Co-Poo. For those who may be new to the whole Natural Hair thing. Co-Wash means to wash only with your hair with Conditioner, leaving the shampoo completely out of the process. This product is a foaming co-wash that thickens and strengthens the hair. The only negative thing I can say about this product is the pump that the product comes out of, other than that it smells amazing and it works really good. After I applied the co-poo to my hair I detangled my hair then I allowed it to sit for 10 minutes, I then washed my hair and my curls were POPPIN! this product not only cleansed my hair, but elongated my 4B/C curls. I highly recommend this product. 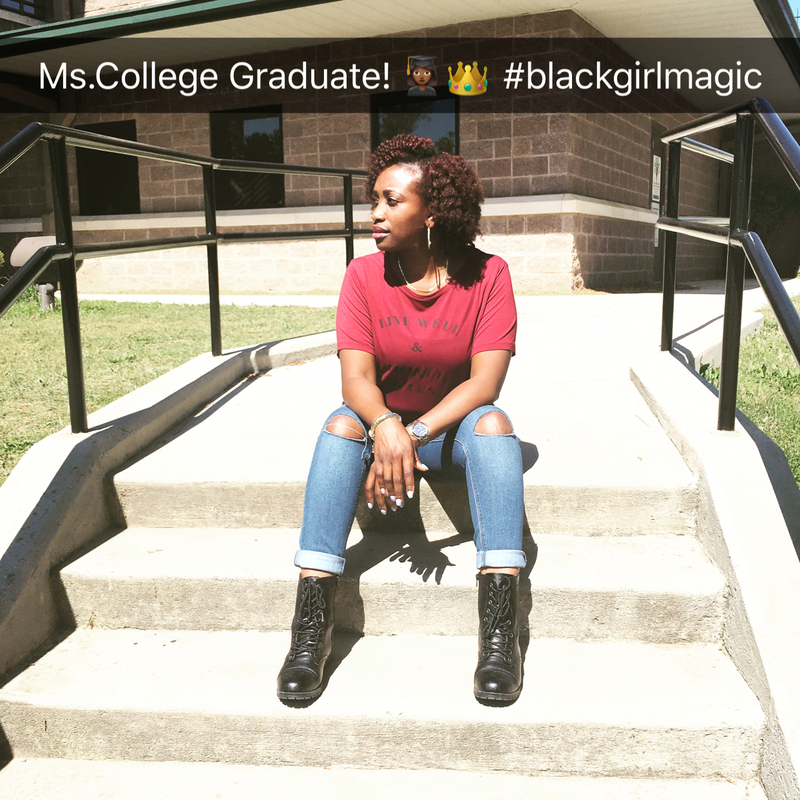 Yep that's me, Ms. College Graduate better known as Bieutiful Coils, also known as Tosha. 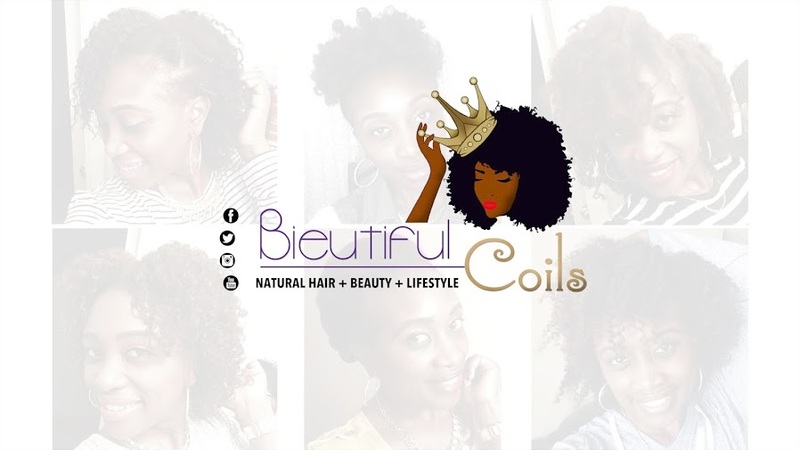 Hey Curl Friends and welcome to my very first blog post! I am so excited that you decided to stop by. I am a Naturalista, and I've been natural for 3 and a half years. I love everything about Natural Hair, the many hairstyles, the different textures, and most importantly the versatility. Being Natural is not an easy thing, especially when you are going through that awkward stage and no hairstyle looks good. Trust and believe patience is definitely key when it comes to managing your natural hair. Be gentle with you hair and take great care of it by using the right products, and most importantly learn your hair. Your hair is one of the most unique things on your body, so do good by your hair and your hair will do good by you!